When you come to Malta, there is one word that you will see and hear a lot: Ftira. This is a word that you should remember 🙂 It’s the name of the local bread, and also the Maltese sandwich that is made with this bread. The bread is very soft inside, and it has a crunchy outside. 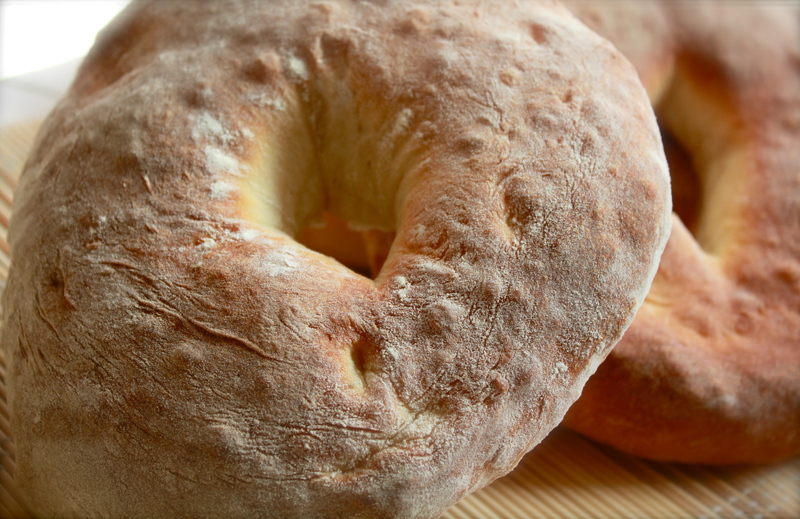 Often the bread comes in a ring shape (picture above) or just a round bun. 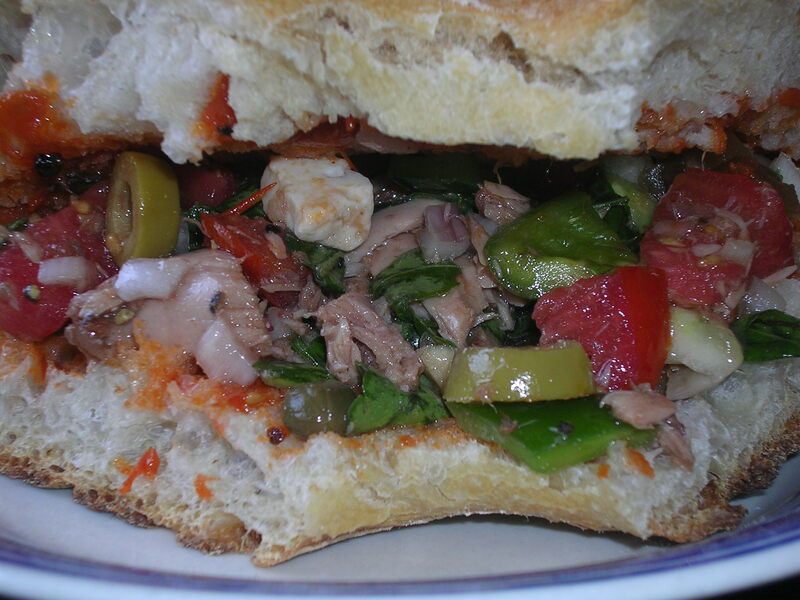 As for the sandwich, you can probably find it in most of the bars or street vendors. Typically there will be a tuna mix for the sandwich, including tuna, olives, carrot, beans, chilies, capers, tomatoes and other vegetables or even cheese marinated in olive oil. You can also buy this mix from the local food shops, and it is going to make your bread into a juicy treat with sunny tastes. As you can imagine, there is much more potential in the ftira bread. If you get the bread from the local shops, you will mostly likely also find many other local bread toppings. You might feel a bit lost when you first come across all different items and not sure about what are the best ones to try. What you can do is to try the Maltese plate from a restaurant and get a feel of what you might like. The Maltese plate can be found on almost all the restaurants. The exact content might vary a bit depending on the chef, but they do give you a good introduction of the local food selections. You will get to taste Maltese biscuits, anchovy, bean mash (Bigilla), Maltese sausage, Gozitan cheese (Ġbejna) etc. What’s more, with a bottle of wine, this is the perfect choice for a cosy afternoon/evening. The highlights, in my opinion, must be the Maltese sausage and the cheese. According to the chef, each restaurant could have a different version of Maltese sausage. They are all unique in their taste, but all are filled with fragrant herbs and spices. As for the cheese, it’s made with local goat milk. They also come in different spice versions, smoked or not. Apart from these, there is one more bread topping that has won our hearts: Mortadella. It’s just a very simple ham sausage with big chunks of fat in it. I am not a fan of big visible fat normally, so I was slightly critical about it. But do give it a try! It will give you a pleasant surprise. And it goes really well with olives.